2 editions of Awful disclosures of Maria Monk found in the catalog. Add another edition? 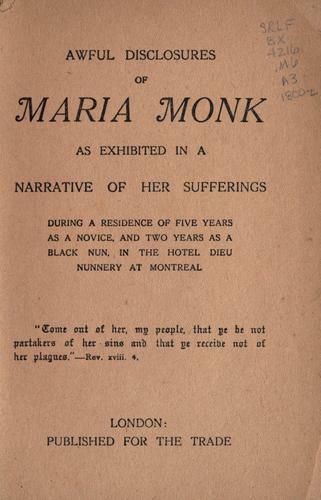 as exhibited in a narrative of her sufferings during a residence of five years as a novice, and two years as a black nun, in the Hotel Dieu Nunnery at Montreal. Published 1800 by Published for the Trade in London .